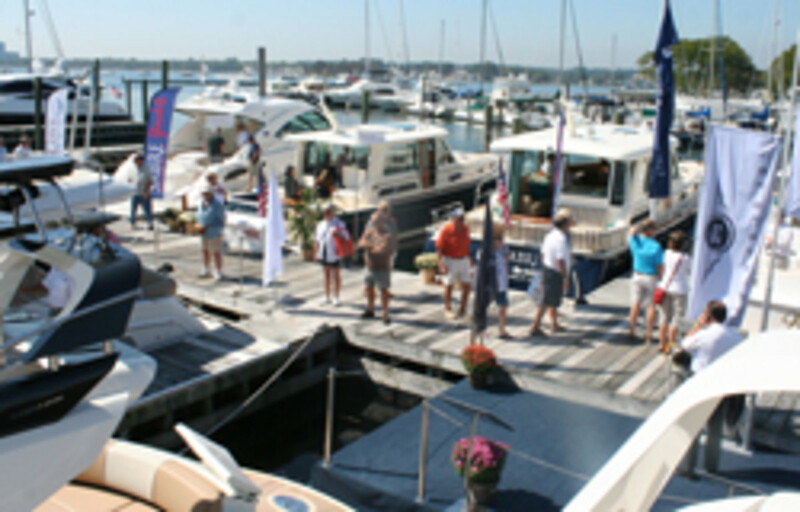 The Norwalk Boat Show finally caught a break from Mother Nature this year and turnout was up, but the decidedly optimistic mood among exhibitors at the four-day Connecticut show was more about the quality of potential buyers stopping at their slips. “The attendance was a little light on Thursday and Friday, but picked up dramatically on Saturday and by Sunday we were back firing on all cylinders. It was like a Sunday in the old days,” Tom Pilkington of Prestige Yacht Sales in Norwalk said this morning. Prestige displayed three Hunt yachts and four Beneteau sailboats. “Even though the show is thought of as a powerboat show, we had a lot of interest in our sailboats,” he said. Pilkington said the southwestern Connecticut show is one of few opportunities for area dealers to appeal to clients from New York City, Fairfield County and northern New Jersey. Down the dock, SeaSide3 Yacht Sales, based in Lindenhurst, N.Y., was showing the new Carver C34 Fly from its line, which also includes Marquis, Monterey, Jupiter and Cobia. Marsala said the Carver C34 was a clear hit with shoppers. Grand Banks Yachts was on hand with its Eastbay 46 SX and 50 SX.